Portland, OR-based Grovemade is a pioneer of handcrafting accessories out of wood, and their products have become well-known to the Apple community as a result. Now the company is using precision wood machining techniques to bring the Speaker System (introductory price of $599 in walnut, $499 in maple) to life. The two machined sides of a Speaker System speaker before they're joined. Grovemade teamed up with Portland-based industrial designer Joey Roth to create these unique speakers, which include a 2 X 25W amplifier and a 2-inch full range driver in each speaker for powerful, crisp sound. The design uses a back-loaded horn design to reinforce low frequency sounds. 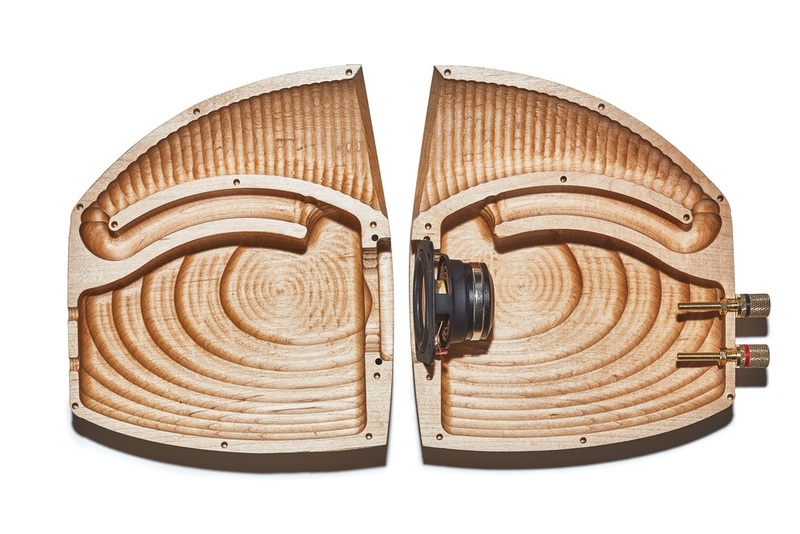 The speaker shells are machined out of solid blocks of hardwood, then bonded together with high-strength epoxy. Next, the shells are hand-formed by Grovemade's team through extensive sanding, then given two coats of hand-rubbed natural oil to seal the wood. Mounted on a stainless steel stand that is given a leather cover, the Speaker System works with just about any sound source, from your favorite iDevice to a vintage turntable. 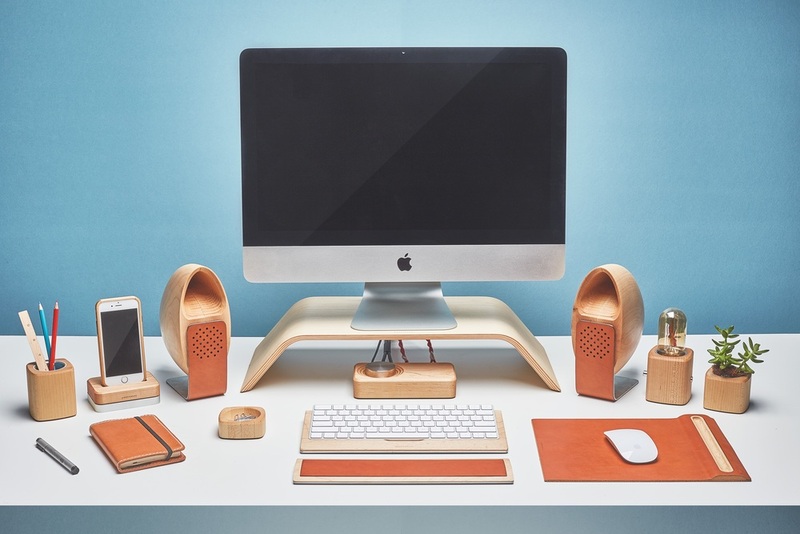 It looks great with the rest of the accessories in the Grovemade Desk Collection, too -- and that collection works great with your favorite Apple devices.